AF2-01. 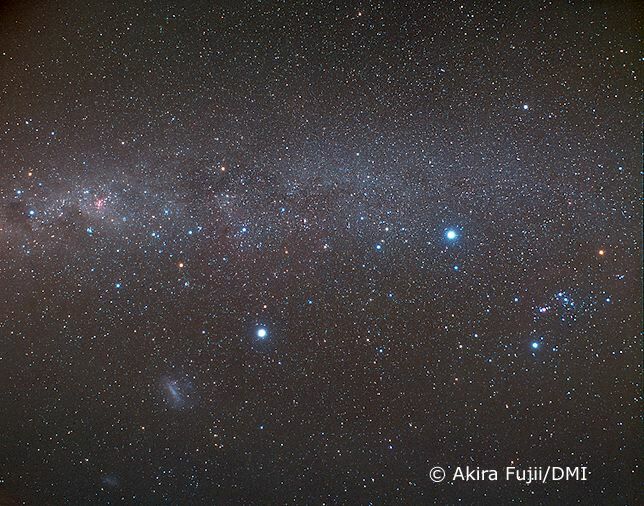 From the Southern Cross and Small Magellanic Cloud to Orion. Includes Sirius, Canopus, Betegeuse, Rigel, to the LMC. Image centred close to pi Puppis.